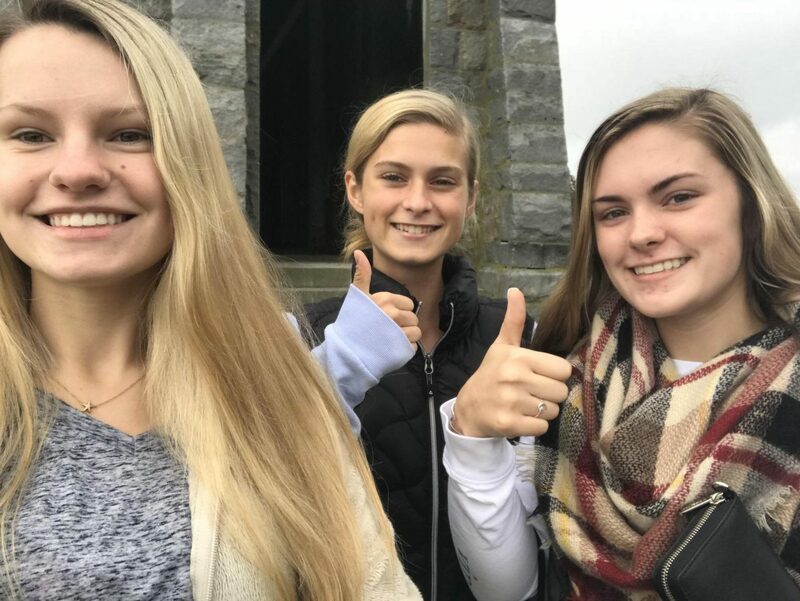 Beginning the college process are seniors Madison Hagan, Emily Duchaney, and Hailey Holmes who visited Keene State for a college tour this fall. 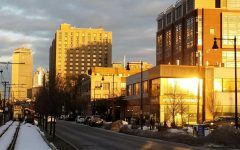 Just two and a half hours north of Abington, Keene State College in Keene, NH offers many opportunities. A lot of Abington graduates recently started going there, and I was curious to see what it was all about. The campus is small, so if you are looking for a school that does not have huge class sizes, Keene is a good option. My tour guide said most of her classes have around 20 people in them. I met kind people there, and they were willing to lend a hand. The tour guides explained how their teachers are always willing to help them, too. The tour guides also took interest in what we wanted to major in, and the guides made an effort to get to know those of us in their group. I got to see inside one of the dorms, which are doubles for first year students, and it was a pretty good size. I also saw inside the art building, which seemed to be popular. If you are interested in art, you should look into their program. They said they have a pretty good criminal justice program and that it is one of their fastest growing majors. I am hoping to study criminal justice, and although I am still applying to Keene, I would not consider it one of my top schools. Overall, I thought Keene was a nice, balanced school.